Hey Guys! Hope you are all doing awesome today. It is snowing hard here, but it’s so much warmer than earlier this week, all is okay by me. I’ve gotten two walks in over the last 12 hours because I just need to get fresh air, and am desperate to be out of this house. I’m already thinking thoughts of spring, but am trying to suppress them because, winter after all is just a mind game. Anyway, on to what I wanted to tell you about; record collecting, record gear, and record shelves. Records and music have been a huge part of my life, maybe even the hugest. Music has shaped the path my life has taken – I got to see the lower 48 states because of it. I love being able to put on a record and feel inspired, and cool, and totally transported by the sound of some good jamz. My husband and I went record shopping on our first date – and started our most recent with a quick stop at a fav local record shop, it’s something we really enjoy collecting together. Kind of a weird couples past time, but it suits us. Lately we’ve been filling out our collection, it’s probably grown by a third over the last two years and it’s hard for us to resist picking up new records often. I should mention that I grew up in a house that had the entire basement dedicated to a very serious vinyl collection, I’m talking thousands and thousands of records. It was inevitable that someday both my brother and I would suffer with the same addiction my dad has – vinyl collecting. Christmas and birthdays for our fam has just become an exchange of records, it’s great! We recently came to the exciting realization that we had increased our collection so much that we needed to expand our shelving. That meant adding one more Expedit 2×2 shelf, like, woah. We’re getting to the point of maximum capacity, I mean, we could possibly add another set of 2×4 Expedit shelves on the opposite wall someday, but at that point we’d have to consider reinforcing the floors. I know that more and more people are collecting vinyl these days and there is a lot of good reasons to do so. Records have outlasted 8-tracks, cassettes, and cd’s because vinyl has better sound quality than any of those media formats (including mp3’s). They are tactile; you can handle them, and look at them, and devour the liner notes and artwork, plus they are just cool. Also, listening to an entire record from front to back is an awesome experience. Everyone should be doing it – screw singles. If an artist took the time to make an entire record, do them a favor and take the time to listen to it! You’d be surprised at what you can discover. I remember in the early oughts when digital music was on the up-and-up and we were all worried that our favorite record stores would die. A few of them did, but now, a lot of them are bigger and better than ever. Vinyl is king again! I have few tips for any of you that might be considering jumping in and starting your own record collection. First of all it doesn’t happen over night, so don’t feel discouraged if your collection starts out small. I started collecting when I was 16, that’s 16 years ago (half my life), so it takes awhile. Start out buying your favorite current music – or new music that you want to explore. That will make it an adventure for you! Also, for those of you who don’t know, almost any current artist on most major and indie labels will release their record on vinyl. Is your mind blown out of your mind? This fact tends to bowl some people over – some folks think that the only vinyl left in the world is used Led Zepplin records found in the 50 cent bins at garage sales. Although you can find cool records at yard sales, newly pressed vinyl does exist! So now that you know you can buy almost anything on vinyl, buy what you love first! As your collection grows you can start to fill it in with stuff you wish you had on vinyl, while continually buying new music as it is released. I just purchased Vitalogy (a 1994 Pearl Jam release) last week because I wanted to fill in my Pearl Jam collection. I’m at the “fill in your PJ collectsh” spot, guys! I just love saying it. We’ve also been exploring a lot of older music that we never previously listened to. For example, I recently discovered that I love early 70’s live Elvis records, so I’ve been grabbing that up whenever I come across it. This sort of record buying is recommend for the second stage of collecting. So you wanna know about “the gear”? I wish I could tell you guys specifically what audio hardware you should be investing in for your new collection, but I can’t. Our turntable is Rega Planar 2 inherited from my dad 10 years ago – this is when it pays to have a dad as an audiophile. We take our turntable in for cleaning and new cartridges about once every two years at our local hi-fi store. Our amplifier, if you can call it that, is the same one I’ve had since I was a teen living under my parents roof. I’m sure someday I should upgrade this, but I’m still really loving the “Lazerdisc” input. Our speakers are Paradigm hand-me-downs from dad. What my dad would tell you about what to invest in: He would say visit your local hi-fi store, (in the twin cities we have Hi-Fi Sound on Harmon, and the Needle Doctor in St. Louis Park) and see what suits your budget. He would advise you not to buy a cheap turntable because it won’t sound as good, and you could risk damaging your vinyl with a low quality stylus (needle). And lastly, get decent speakers, cause that’s what it’s all about. Can I tell you about my record shelves yet? You probably familiar with Expedit shelves from Ikea, at our house we have lots of them, and have used them for toy storage in the boys’ room. 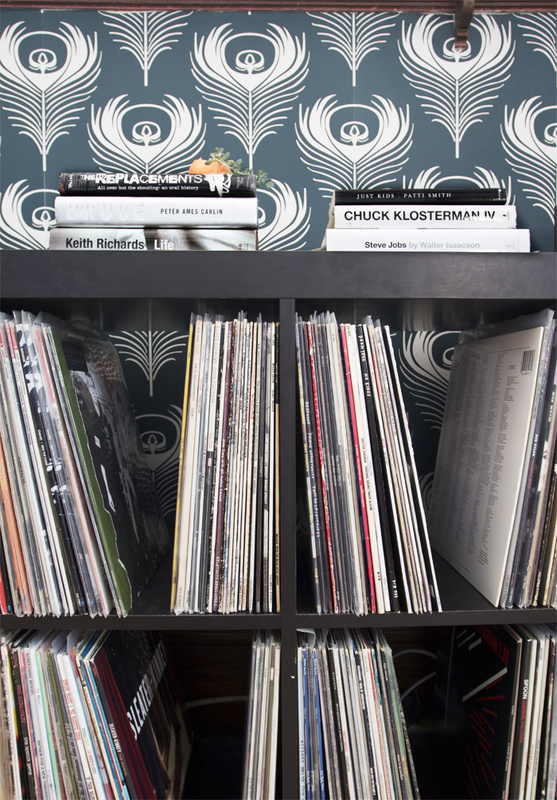 We also use them as record shelves, and we totally love them. What did people do before Ikea? I have no idea. We have what we call a “Music Room“, it’s basically a 4th bedroom or office on the main floor of our house tucked in behind the dining room. It’s where our piano, and Jeff’s guitars live. It’s also home to our records, turntable and stereo amplifier. After we moved in, we only utilized one 2×4 Expedit shelf, that grew a few years ago when we added a 2×2 shelf in an ‘L’ shaped arrangement. Just this week I added the latest section of 2×2 Expedit shelf and now the entire get-up takes up almost the entire length of one wall. I love these shelves, each cube holds between 90 and 100 records, it’s the perfect size so that your vinyl doesn’t lean too much causing it to take on unnecessary weight from other records. We’ve had our records in shelving like this for almost 4 years on the original 2×4 and there has been no shelf warping at all. That was my biggest concern with all the weight, but it hasn’t been an issue for us. With the Expedit shelves it is so easy to expand your shelving. Expedit is a signature piece for Ikea and I don’t imagine they will ever discontinue the design. 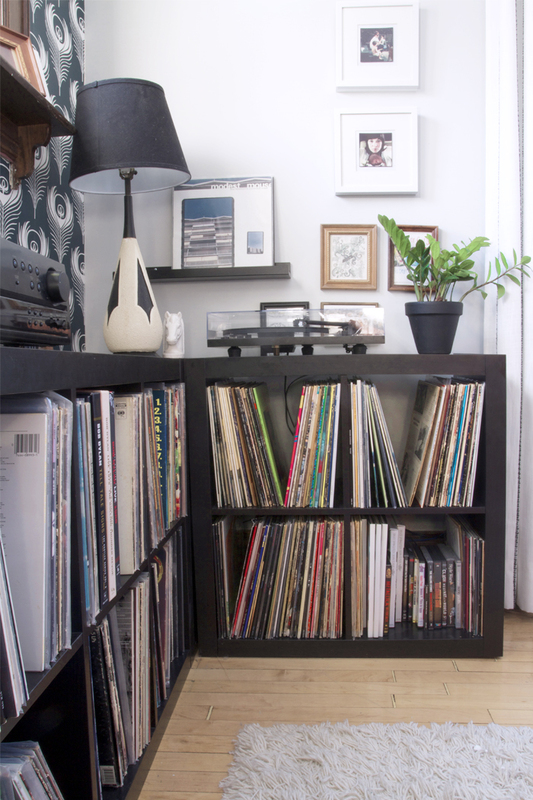 This means you can add on to your shelving as easily as you can add on to your record collection. 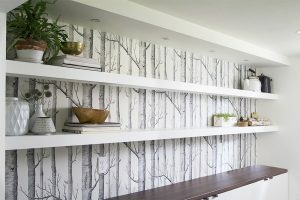 I would suggest staying away from trendy colors, as those get dropped from season to season, instead stick with the classic Ikea colors; white, birch or brown/black and you won’t go wrong. My favorite thing about these shelves is their ability to be customized. With a little elbow grease I chopped up a 2×2 shelf and made the corner piece for our ‘L’ shaped shelf design. 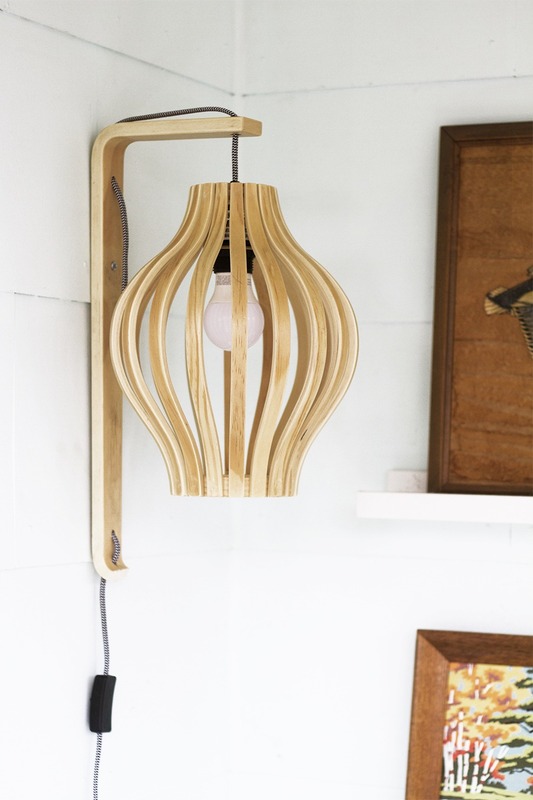 With Ikea, there is always potential to customize furniture if you get creative. You can totally find a way to fit these shelves into any space. So, I hope that my insight into record collecting might encourage some of you to start a collection of your own, or become more serious about one you already have. I think everyone loves music, if you don’t that’s weird (this said by the mom of a boy who told me last week that he “hates music”). In my opinion listening to vinyl records is the best way to enjoy music, for all the reasons I mentioned above. Oh man, for real, what did people store their records in before the Expedit shelf came along?? Those vintage “record cabinets” you see sometimes in second-hand shops are so dinky! I remember looking for record storage before Ikea opened in MN and it was DISMAL. The only good options were DIY or some crazy expensive industrial shelving. I know, right? Oh Ikea, you made us all better people. I had one before Ikea came into my life from target and it only lasted one move before it entirely collapsed. There are people out there who build amazing shelves, they just don’t cost $39.99, which of course is why I like the Expedit. I do like the look of those big 5×5 ones that you have jam packed with records, total eye candy. Hope you and your kids are getting stuck in snow banks today! It’s great to hear about your set-up… and awesome that your dad was an audiophile. You have lots of great gear! The space looks great and the person above me who said “lounge-y” nailed it right on the head I think. What a great space to relax and listen! Hey Emily! I am lucky to have someone just give me a bunch of cool audio stuff! I don’t know how long it would’ve taken me to take the plunge on my own and purchase some quality equipment if I didn’t. I do however, think it’s worth the investment. 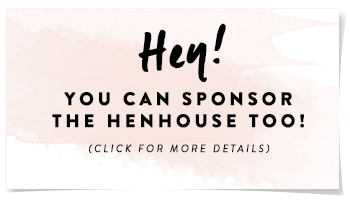 Love your last blog post about your house colors – by the way, I’d love to do that over here someday to see how it all really works together. 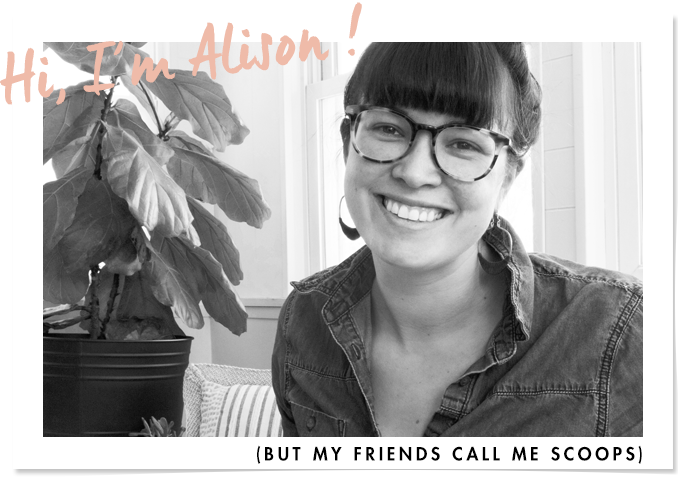 I feel like we’ve gone down a similar path of home decor experimenting, your blog is super inspiring! 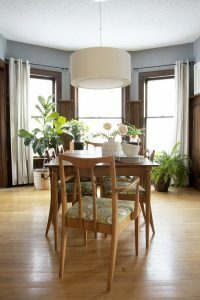 Found you via the Design Sponge link and have you on my blog feed because we have similar “weird” kitchens except mine is an apartment one. 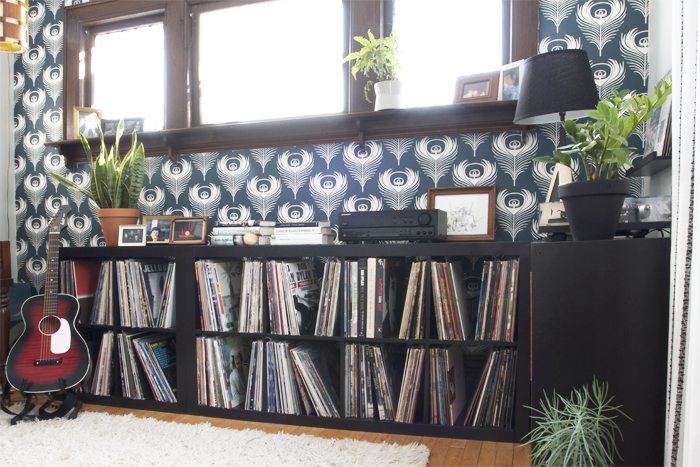 My record collecting boyfriend and I shacked up about six years ago, and over the years we’ve had many iterations of those crappy wood three-cube shelves, various mid century record shelves, etc. Other than super expensive custom work, I have found no better solution than the expedit! We have two 2x4s along one wall sideboard-style like yours, and I love the visual appeal along with the heavy duty storage. Those things are workhorses! My only complaint is that they’re not raw stain-able wood. I would looooove me some walnut stained record shelves. …and clearly I have a chair problem! First of all, oh my god, that Eames chair is insane! Woah! I thought I had a chair problem too, but definitely not as cool as yours. IF only Expedit was stainable hard wood, wouldn’t that be best? 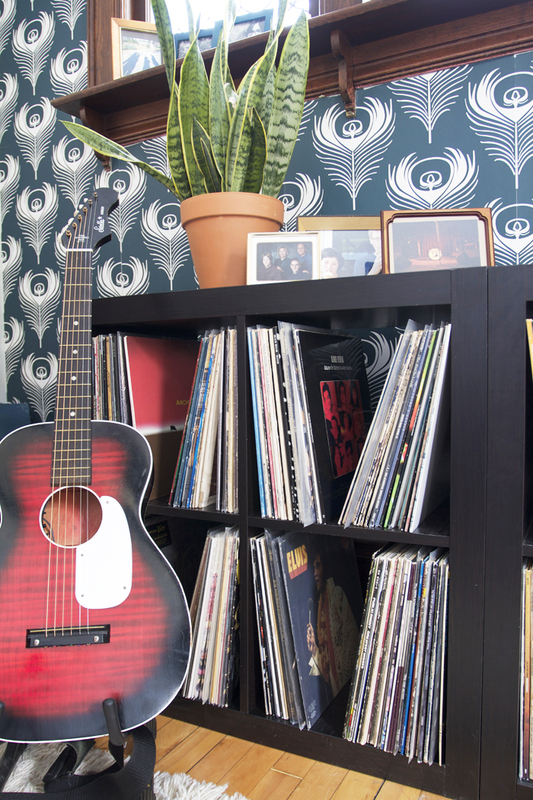 Your record collection is amazing looking, and that black chair looks super cool. I can’t wait till we can fill all our new expedit cubes and it looks like yours! Looks great Ali – You’ve done it again. I love my record collection! My dad was a big time record collector and now I’m following in his footsteps. Nothing beats that first crackle when the needle hits the vinyl! I agree! So great that you share your dad’s love for vinyl! Question–do you have speakers in more parts of the house than just the music room? I am assuming you do. We have gone the very low tech route of running the speaker wire through the heating ducts to get it to varying rooms in the house but I feel like there must be a better way that doesn’t cost a fortune. Hi Becky, I should’ve probably been more clear in my post that we have speaker wire running out to our dining room – it’s pretty hidden along our floor board. Our speakers are located in the dining room – finding the right space for the speakers has been our hardest challenge regarding our stereo set up. Someday I think we will have speakers wired into more ideal locations of the house, but have no plans for that now. They do make wireless speakers if you wanted to broadcast something via an apple airport express, we have considered this option for our front porch. Don’t know if that helps at all, but as far as I know, speaker technology is still very analog. Very nice. I never saw the use in record collecting, and would be like “Whatever” when Record Store Day came along. I kind of get it now. I inherited a ton of records from my parents, and when I couldn’t save their old player I got a new one, and proper speakers, and now I have a REAL way to listen to and enjoy records, and I understand. I have like, I dunnoooo 30 records to my name. But it’s exciting to have this new platform to own cherished albums. It’s like a form of worship, almost. Now I can listen to an album (current in my headphones – Bon Iver) and think “I should get this album on vinyl. It would sound *great* on vinyl.” Same when I hear my favorite Morrissey album is being re-released, I’m like HELL YES I need to own that on vinyl. Ya know? Yes, you should totally do that! Lots of new vinyl comes with download codes too (it’ll say on the packaging if it does). That would allow you to have both formats – the analog record, and mp3’s for your itunes. Hello, fellow Minnesotan! I lived in Minneapolis up until last year, when I moved out to the country full time. I’ve been buying records since my college days (we’re the same age), because it was just such an affordable (and cool) way to build a decent classic rock collection. More recently, I’ve had fun buying big band, Glenn Miller-y type stuff, which is almost literally a-dime-a-dozen in the right shops. And, of course, it’s all stored on Expedit shelves — there’s just nothing else that’s such a perfect size! Yes! So great to know a fellow Minnesotan record collector! 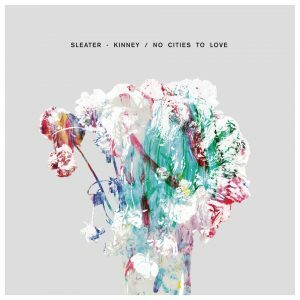 Where do you get your records now that you are out in the “country”? I do a lot of ebay shopping when I can’t find exactly what I am looking for! My boyfriend inherited the sound equipment from his uncle who saddly passed away not so long ago. I was looking some nice idea to display his uncle record collection, and I think this is just what he needs. Thanks!!!! Great to hear the post helped! You’ll love the Expedit shelves – especially since you can find any size to fit your needs and space. I know! I totally jinxed it! Heading to Ikea this weekend to stock up!